Inspire, is a series which will run through the end of December 2013. We will feature youth, Board members, organizational partners, donors and others, who have contributed to SAALT’s work on the ground and nationally. We invite you to share your stories of how SAALT has shaped (and perhaps transformed) your local activism and your commitment to the larger movement for democracy and justice. This week, we feature board member Maheen Qureshi. I am a Muslim American who has lived in the U.S. for half my life. I spent my childhood and adolescence between Pakistan, Burma, the Philippines and Indonesia. My path to citizenship has been as a student (twice) and H-1B worker (twice) and then the Green Card. I have lived in the DC area longer than I’ve lived anywhere. I am a mom/ single mom, a daughter, a wife, a sister, an aunt. I am also a professional who has worked at the intersection of social and environmental responsibility and the financial sector. I have a big extended family in Pakistan and I live in an intergenerational household in the U.S. I consider myself to be an international person who calls America home. Among my multiple identities, I’m passionate about humanitarian causes and social justice. I got involved with SAALT through my work doing corporate social responsibility outreach to communities of color. I was later invited to join SAALT’s board. I connect with SAALT in many ways. 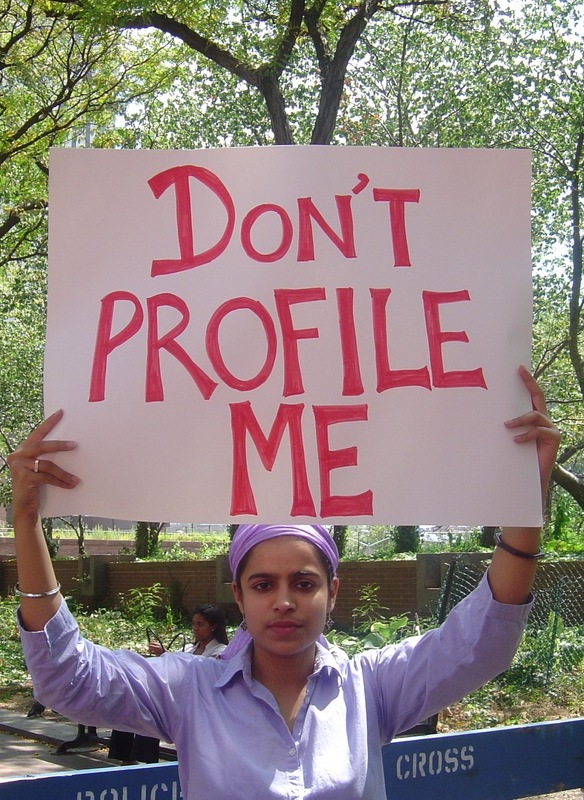 Since 9/11, I feel the effects of racial profiling in a subtle, but constant way. I think twice before speaking colloquially, out of concern that someone may misinterpret what I mean and profile me even if I have done nothing wrong. I am happy that my family and I can worship. But I don’t take this freedom for granted, as I know that places of worship in our communities are often vandalized or under attack. 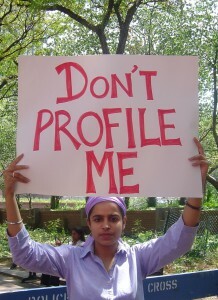 SAALT’s work to oppose racial profiling in all of its forms is of importance to me. Since becoming a single mom at age 29, I have experienced some of the challenges that women face, especially South Asian and immigrant women. I am blessed to have a very supportive family and can link this to the fortunate opportunities the U.S. immigration system has afforded my parents and siblings on their individual paths to citizenship. Having a life partner in another country, however, and not having a visa option to bring him to the U.S. for even a day (until he receives a visa through the standard family process that is expected to take 3+ years) has been difficult. This personal experience has underscored the importance of finding immigration solutions for families – the work SAALT has been doing for many years. My personal experiences reaffirm my commitment to helping other women who have even more challenges and may not have the family or financial support system available to them. There is a lot more work to be done to reform our current systems. Raising an American child, I want to know that he will be just as safe, respected and welcome as any other child – regardless of his faith, family or appearance. SAALT’s work on anti-bullying education and bringing students together through the Young Leaders Institute inspire me. Last but not least, I care about issues of justice and equality that impact all people. SAALT links the challenges faced by our community to larger struggles and movements. If you identify with any of the issues or if you have a hope and a vision for a more democratic and a safer nation and world, I hope you will support SAALT today and beyond. When the Twitterversy around Kal Penn’s tweets about the NYPD’s stop and frisk policy arose, we felt that it was important for South Asians to share our view of racial profiling and its impact. We wrote something and asked some people to sign on. That statement is below. Simultaneously, we reached out to Kal Penn to express our disappointment and concern over his tweets. We started a conversation that resulted in his endorsing this statement. Penn has also agreed to engage in a process of dialogue, learning, engagement and action on racial profiling and stop and frisk policies with the institutions and communities working on this issue, including Colorlines and SAALT. You’ll find Penn’s own statement at the bottom of ours. which was brought by the Center for Constitutional Rights, include that between 2004 and 2009, cops searched 2.28 million people for weapons, and that 2.25 million of them (98.5 percent) had none. Out of 4.4 million stops, only 6 percent led to an arrest, which means that cops were wrong 16 times more often than they were right. These numbers confirm that there is absolutely no evidence that stop and frisk reduces crime. New York City’s crime rate had started falling before stop and frisk was ever instituted, and cities and states across the country have also reduced crime rates without using such an unconstitutional and destructive practice.The negative racial impact and ineffectiveness of stop and frisk would be reason enough to oppose it. And, South Asian communities have an additional stake in this debate. Especially since September 11th, South Asians are routinely targeted as would-be terrorists in many settings. Plenty of people say that South Asians, Sikhs and Muslims commit more terrorist acts to justify that profiling. South Asians have endured harassment at airports and at the border, interrogations and detentions by immigration authorities in the name of national security, and surveillance of Muslim Students Associations, mosques, and restaurants. In fact, the NYPD is facing lawsuits for their surveillance of Muslim communities. A recent report by South Asian American organizations in New York City and nationally reveals the deep impact of racial and religious profiling on South Asian New Yorkers, many of whom are young, working class people who struggle with being singled out by authorities, including the NYPD. Indeed, plenty of young South Asians themselves have been victims of stop and frisk policies – in both terrorism and non-terrorism related contexts – even in schools. All week, we have been featuring pieces from artists and advocates around the country, sharing reflections and making calls to action. We wanted to show the community of Oak Creek that people from all walks of life and around the country are standing with them on the one-year anniversary. Though, we conclude our weeklong blog series Reflections on Oak Creek we all know the conversation will continue on. I was humbled to be in Oak Creek this past weekend with SAALT representatives. I wanted to share with you a piece that reflects that experience. You can find it at Colorlines. Perhaps one of the lasting legacies of this tragedy is that it will spark a whole new generation of activists and organizers, truth tellers and disrupters. Let us support them by making a physical pilgrimage to the Oak Creek gurdwara each August 5 to understand, grieve and remember. And every other day, let us reaffirm our collective pledge to not let another Oak Creek happen, in the spirit of chardi kala. 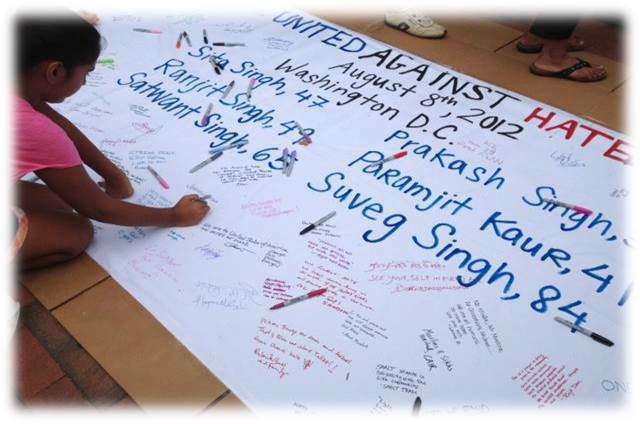 This week we commemorate the one year anniversary of the hate violence that gripped the community of Oak Creek, Wisconsin, when a gunman stormed into the Sikh Temple of Wisconsin on the morning of August 5, 2012. Our hearts are with the families and loved ones of Paramjit Kaur, Prakash Singh, Ranjit Singh, Satwant Singh Kaleka, Sita Singh and Suveg Singh who lost their lives in the massacre. As we reflect on this day one year later, it is important to place the Oak Creek tragedy in a broader history and context of racial and religious injustice in our country. To help us understand, reflect and move forward, SAALT is featuring a blog series featuring a range of diverse voices. The views and opinions expressed in this blog post do not reflect the positions or opinions of SAALT. They should be understood solely as the personal opinion of the author. 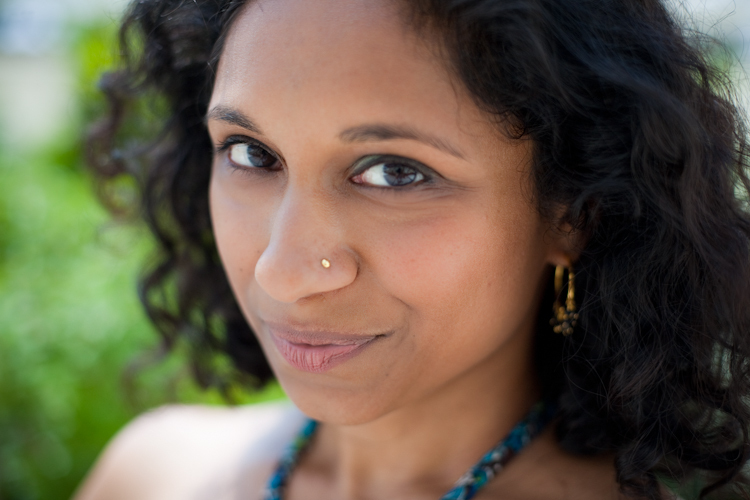 Gowri K. is a Sri Lankan Tamil American poet and lawyer. Her advocacy has addressed animal welfare, the environment, and the rights of prisoners and the criminally accused. She has co-authored two peer-reviewed scientific journal articles and her poetry has been published in Beltway Poetry Quarterly, Bourgeon, and Lantern Review. Gowri was a member of the 2010 DC Southern Fried Slam team and has performed at Lincoln Center Out of Doors, the Kennedy Center’s Millennium Stage, and the Smithsonian Folklife Festival. She hosts open mics at Busboys and Poets and BloomBars, where she serves as poetry coordinator. 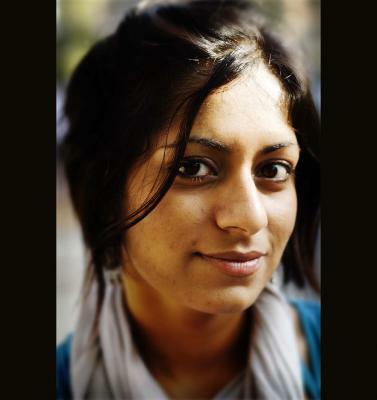 Gowri is also the senior poetry editor at Jaggery: A DesiLit Arts and Literature Journal. She tweets on-the-spot haiku @gowricurry. The teenage Desi youth were sprawled and scattered around the common room with wallpapered roses and yellow light from the dusty chandeliers. It was dark outside and the Bay Area chill was seeping through the cracks of the old Victorian bed and breakfast. The youth were enrapt, despite the lateness, despite how much knowledge we had tried to pack into their brains that day. When the sun set earlier, we had stood in a circle – youth participants and core organizers alike- and a box of dates had been passed around. Some youth were fasting for Ramadan but most were South Asian youth of varied other religious backgrounds, not fasting. When the azaan on the iPhone app began soaring, we all said quiet self-reflections and broke our fast with that date, together and in solidarity. That was how we began our Islamophobia Workshop at Bay Area Solidarity Summer (www.solidaritysummer.org) a couple of Friday nights ago. We began in solidarity. 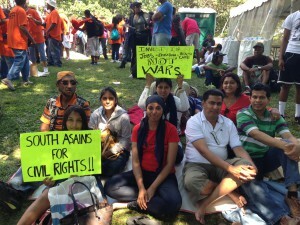 The 15 Desi youth at our five-day camp were young, ranging from 15 to 20 years old, but they were fierce. We had begun our camp that Thursday with stories of legacies. We literally walked the youth through the history of justice fighting that belongs to the South Asian community in America. We talked about the Bellingham Race Riots in 1907, to the Komagata Maru being turned away from Canadian shores in 1914, to the formation of the Ghadar party in San Francisco in 1913. We talked about Kartar Dhillon, Tinku Ishtiaq, Prerna Lal, and Amit Gupta. We talked about how the Beats for Bangladesh album in 2013 built on the legacy of George Harrison’s Concert for Bangladesh in 1971, how the seven South Asian congressional candidates who ran in 2010 built on the legacy of the first Sikh and Indian Congressman Dalip Singh Saund in 1957, how the Punjabi poetry on the walls of Angel Island was connected to the The Bridges publication out of UC Berkeley in the 70’s, and how the Asian Exclusion Act (1924), Luce-Celler Act (1946), and Dream Act were all related. I took a deep breath as I looked around the youth sprawled in the dimly lit room. 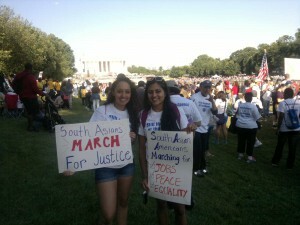 They represented the next generation of the progressive movement for the South Asian American community. As a Muslim South Asian American activist myself, I was personally invested in developing Desi youth leaders who would be capable of speaking in solidarity on Muslim issues in addition to multiple others affecting the South Asian community. 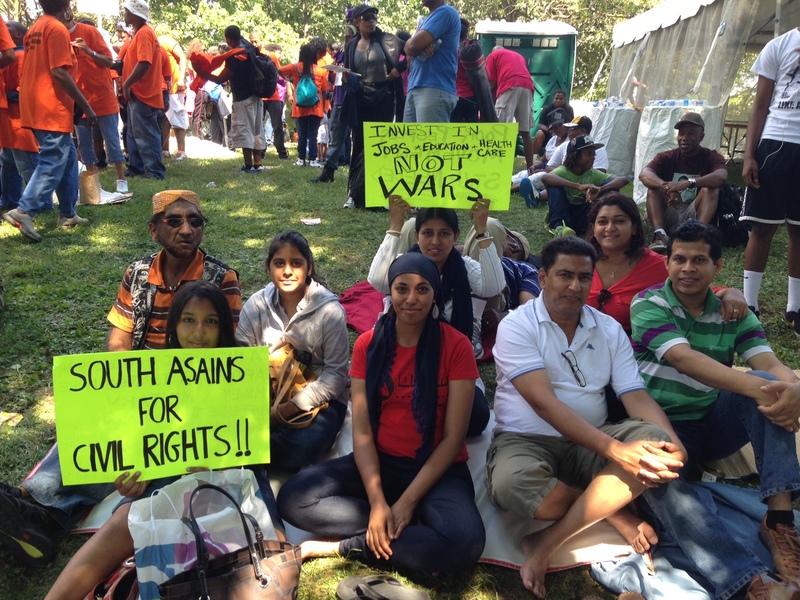 I needed an activist community that understood the importance of South Asian solidarity. That we had united struggles. That it was beneficial to fight social injustices together. 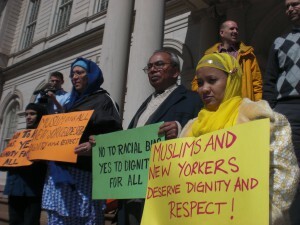 That hate-crimes and profiling lumped us all together into a collective Brown. But you can’t teach youth solidarity – you can only teach them issues and create safe spaces for dialogue. The solidarity, you hope, comes after. We walked the youth through images of Aladdin on a carpet, President Obama in a turban, a woman caged in a hijab. We walked through concepts of racialization, otherizing, marginalization, and exotification. We talked about systems of oppression, living in a surveillance state, the rash of hate crimes at mosques and the $42 million dollar islamophobia industry funded by only seven foundations. We showed videos of Aasif Mandvi as Bill Cosby, of a hijabi flashmob at Lowes, and of Congressman Keith Ellison’s tearful 9/11 testimony at the King Hearings. And I was nervous. Because last year when I had walked through these issues with the BASS youth, they didn’t quite get it. Their eyes glazed over when I talked about 9/11, in that way that kids’ eyes tend to glaze over when hearing again a story from when they were five. And one youth pushed back, saying that even though he had Muslim friends, he was Hindu, and he didn’t have to deal with these issues when he was home. I felt like I had failed as a trainer. That very next morning last year, on August 5, 2012, as the youth were out on a radical walking tour, that the BASS organizers got word of the shocking and tragic shootings in Oak Creek. Hovering over the laptops, we obsessively clicked refresh on our internet feeds. And when the youth came back, I gently broke to them what had happened. How do you empower youth when the real life news out there is telling them to be afraid? Be afraid because your skin is brown, because your mother tongue is different, or your religion makes you a target of people shooting guns, even – or especially – where you pray? Be afraid because gun rights are a joke where firearms are accessible to white supremacist but if you even google guns, you risk being branded as a terrorist? Be afraid because white systems of oppression still rule? I didn’t say any of that. Instead I asked for the youth to be still, reflect, and have a moment of silence. As I looked at everyone sitting on the floor that morning last year, I knew that they got it. It was a poignant and tragic teachable moment. A horrific, perfectly timed, teachable moment on why we need to build solidarity, as South Asians and as humankind. It was that teachable moment I was thinking about as I looked at this year’s BASS 2013 class. It had been a year since the Oak Creek shooting. It had been a year since the vigilante stream of attacks on mosques during last year’s Ramadan. What had started as post-9/11 backlash ten years ago has morphed into a monster of constant fear directed at the South Asian community. As a community, we were on the defensive, always it seemed. But beauty has come out of it, too – a vibrant, lush activist community in solidarity that uses tools of love, arts, community, and politics to combat and resist. As I looked in the eyes of each of our youth participants during our closing circle, I saw a fire I hadn’t seen there before. They weren’t fearful. Their passion was ignited and they all felt loved and empowered. They were equipped with the tools and knowledge they needed to combat and resist in this world, but to do it in ways that honor love and community, that give life to hope. And that was when I knew they’d gotten it: what it means to live and act in solidarity. Tanzila “Taz” Ahmed is an activist, storyteller, and politico based in Los Angeles currently working as the Voter Engagement Manager at Asian Americans Advancing Justice – Los Angeles. She has been a long-time writer for SepiaMutiny.com, and her writing can most recently be found in the anthology Love, Inshallah: The Secret Love Lives of American Muslim Women. You can find her online at Mutinous Mindstate and Say What? as well as at the music site Mishthi Music where she just co-produced Beats for Bangladesh: A Benefit Album in Solidarity with the Garment Workers of Rana Plaza. Follow her on twitter @tazzystar. On August 5, 2012, I woke up and got ready to go to Gurdwara, as I would on any other Sunday. I was attending a local service at the Guru Gobind Singh Foundation in Rockville, MD, when a member of the congregation announced that there was a shooting at a Gurdwara in Milwaukee. Immediately, everyone picked up their phones and started looking for news articles, reading posts on Facebook and twitter, and texting loved ones to make sure they were okay. After that moment, my mind went blank. We all remained silent as the program ended after which everyone quietly ate their langar, a community meal, and spoke in panicked whispers. For the next few weeks, all I could think about was the shooting. I had always thought that the worst attack that could ever happen to our community would be an attack on a Gurdwara, our place of worship, and that had now happened. I remember that Sunday so vividly. I was glued to the television and stayed close to my friends and family. I could not sleep that night, feeling restless and uneasy. My initial reaction was fear—how this could happen to a Gurdwara, a place of worship—a place I called my second home? When I was younger, I dreaded going to Gurdwara on Sundays because I would have to sit through three hour long programs and attend Punjabi class. As I grew older, I started to like going to Gurdwara because I would be able to meet my friends there and hang out, understand and learn more about my religion, and connect with my community. Nowadays whenever my family and I are traveling, my father will try to find a Gurdwara wherever we are. He always tells me, “Anywhere you go, you should get to know the Sikhs there.” His words inspired the connection I feel with my community and the love I have for Gurdwaras. I have always felt fortunate that I can be a part of the Sikh community no matter where I am. It is because of this bond—this closeness in our community—that the attack on Oak Creek was so painful. By taking the lives of six innocent people—mothers, fathers, brothers, sisters, sons and daughters—one individual brought hate into a place that I love. 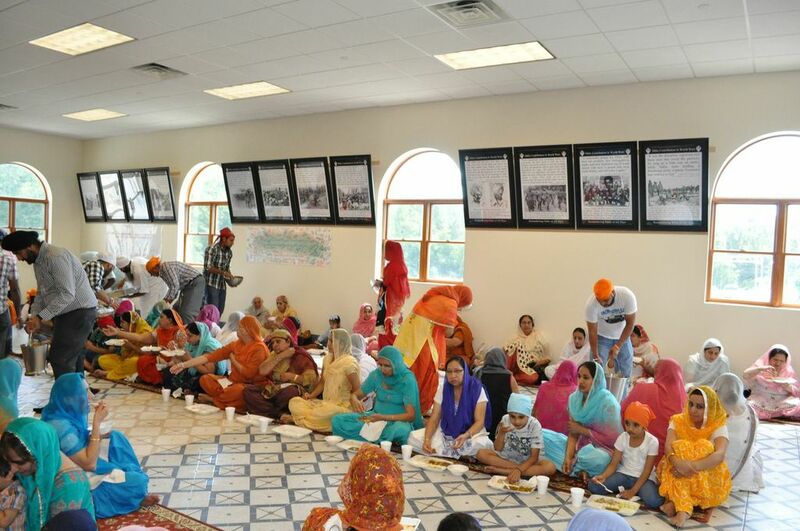 As I traveled to Oak Creek last weekend for the one-year anniversary of the day that hate was brought into the Oak Creek Gurdwara, the theme that surrounded this weekend was “Chardi Kala,” or relentless optimism during times of hardship. I thought to myself, how can I be in Chardi Kala when a place I love was devastated and the families of lost loved ones are in infinite pain? How can I embrace the concept of Chardi Kala, when this was the biggest attack during my lifetime on my community in a place of peace and love? But once I got to Oak Creek, all of my questions were answered with the power of Sangat. In Sikhism, Sangat or communal prayer amongst fellow worshippers is large part of providing strength, community and peace to an individual. The Sangat of Oak Creek showed such immense strength and courage, lifting up their spirits and looking towards the future- within seconds, their Chardi Kala spirit infected me. I came to Oak Creek with a heavy heart and a lump in my throat, but that went away once I joined hands with the Oak Creek Sangat to remember Suveg Singh Khattra, Satwant Singh Kaleka, Ranjit Singh, Paramjit Kaur, Sita Singh, and Prakash Singh. As difficult as the past year has been, reflecting on the reality that my second home, a beloved Gurdwara, was attacked, I gained more strength from the community of Oak Creek than from anywhere else. I commend the Sangat of Oak Creek for standing tall during this terrible time of hardship. Kanwardeep Singh Kaleka, nephew of one of the victims, Satwant Singh Kaleka, summed it up when he said, “I am proud to be a part of such a Sangat and I mean that in a global sense. Waheguru (God) has blessed us with so much love from all over the world. The whole is only as good as its parts and there are many parts that work as one.” Over the past year, so many our parts have to work as one in renewing our Chardi Kala- from the Oak Creek community to the Sikh community broadly to the global community, the love and support has been tremendous. As the one-year anniversary of the Oak Creek shooting passes, I can confidently say that although the pain is still there and work needs to be done to ensure that such an attack never happens again, the strength and Chardi Kala of the Oak Creek community continues to pay tribute to Suveg Singh Khattra, Satwant Singh Kaleka, Ranjit Singh, Paramjit Kaur, Sita Singh, and Prakash Singh and to elevate the collective spirit of Sikhs in America. Recently, I’ve been seeing a lot of blog posts and comments in discussion that work off an assumption that Asian Americans don’t get criminalized, or that our community’s struggles are somehow lesser compared to other people of color. In Minnesota, Southeast Asians, as well as other people of color and indigenous people, are often criminalized – especially Hmong and Cambodian people. The corrupt and abusive Metro Gang Task Force was full of officers that have a history racially profiling people of color, including Southeast Asians, and many of those officers have records showing extensive complaints about their anti-Black and anti-Hmong behavior, specifically. 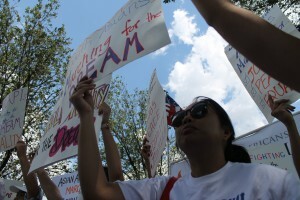 Southeast Asians across the country struggle with poverty, are victims of police brutality, and face unjust deportation policies that tear apart their families. We live in an environment of rampant Islamophobia and state criminalization, imprisonment and murder of Muslims. In naming Southeast Asians, Arabs, and South Asians, I don’t mean to render invisible the very real race and class based discrimination or invisibility that East Asians also endure, nor do I seek to flatten or simplify the intersectionality of those of us who are mixed race, queer, and women. I’m responding to an alarming pattern that I see emerging, where some Asian American activists choose to point fingers at other members of the Asian American community and demand that we check our privilege in a way that is unilateral and myopic. Unfortunately this is a re-emergence of an attitude I’ve encountered fairly often over the years as a community organizer – that some Asian American activists believe that there is a linear continuum of cross-racial hostility and oppression with Asians on one end (assuming we have the most privilege out of all non-white people) and African Americans, Latinos, and Native Americans on the other, and that your support of communities deemed less privileged becomes a sort of litmus test to how righteous an activist you are. While Asian Americans can and have participated in white supremacy against other people of color and indigenous peoples, it doesn’t mean that they’re successful. Just because some Arab and South Asians put American flags outside their homes after 9/11 as a measure to show alliance with America to protect themselves *doesn’t mean that it worked. * Just because Asians are taught to strive for an upper middle class American Dream that distances themselves from their own communities as well as other communities of color over land stolen from indigenous people – it doesn’t mean that they’re consciously participating in these systems of oppression as much as they are going along with what all of us have been taught how to pursue and measure success, by media and our culture – and it doesn’t mean that the vast majority of them actually succeed. In 2010, Jason Yang had just gotten a job and was ready to turn his life around – that didn’t save him from being racially profiled at the club and getting chased off a bridge, to his death, by police. In 2006, Fong Lee was racially profiled while riding his bike with friends and was shot and killed by a white officer who won a Medal of Valor for the act, in one of the most brutal police brutality cases in Twin Cities history. Assuming Asian Americans don’t get racially profiled isn’t just bad politics, it’s inaccurate. While it is necessary to examine our personal privilege, we also have to be careful that we don’t assume our own personal privileges and social locations are the same for all Asian Americans across the board. It’s been a long time since I, personally, have been criminalized. But that doesn’t mean it doesn’t happen to other Vietnamese people. In 2003, Cau Thi Bich Tran was shot and killed in her own home by police, with her kids in the adjacent room, because the cops (who were never charged) thought her vegetable peeler was a cleaver. Strategically, if we acknowledge that Asian Americans often don’t have access to anti-racist frameworks that are relevant to their own communities, it’s more effective to show them examples of people who look like them who have been racially profiled and whose families suffered further devastation by the failure of the criminal justice system – and unfortunately that list is quite long. Vincent Chin, Fong Lee, Daniel Pham, Yoshi Hattori, Chonburi Xiong, Michael Cho, Balbir Singh Sodhi, Waqar Hassan, Kuang Chung Kao, the tragedy at Oak Creek, and the many other South Asians and Arabs who have suffered abuse especially after 9/11. And historically, we can look at cases where Asians have worked, across ethnicity and cross-racially, for ourselves and in solidarity with other communities in various historic and contemporary social justice movements. I believe working in solidarity with other communities of color requires us to think about how our experiences are different but related, and ultimately intertwined. Yes, that means that we – all of us, Asian or otherwise – need to examine our privilege, learn from each other’s histories and experiences, and realize that ultimately white supremacy dehumanizes and distances us all, from our own communities and from each other. Solidarity doesn’t mean we erase our community’s struggle, it doesn’t mean we romanticize other communities of color’s oppression because we believe it carries more weight than our own. We all want to be good allies. We all want, so desperately, to do the right thing – above all, to be useful. I just want to put forth that being an effective community worker and a good ally is most effective when we work from within our own communities – with nuance, with intention, and with love. 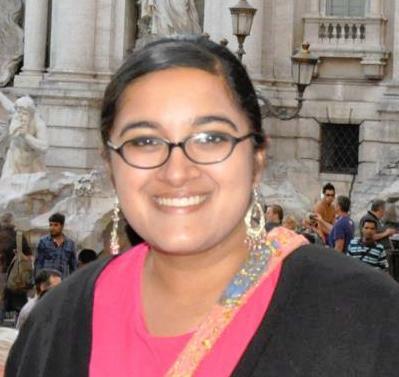 If we instead give in to our ego, if we instead insist on being the ‘exceptional’ Asian activist and participate in divide-and-conquer, where we point fingers at our own communities from outside of it and say we wish Asians were more radical, why can’t Asians be more down for the cause like us – if we indulge our self-righteousness rather than work from a place of love and nuance – we are not effective, to our own people or anyone else. Community activism isn’t a competition – it is above all an act of love. Peace. I would like to thank Parag Khandhar, Giles Li, Sahra Vang Nguyen, Jasmine Kar Tang, Terry Park, and Leah Lakshmi Piepzna-Samarasinha for their feedback, advice, edits, and conversation which led to the revision and public posting of this piece. 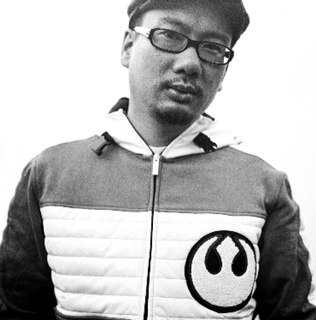 Bao Phi is a Vietnamese American Minnesotan spoken word artist, published poet, community worker, nonprofit arts administrator, partner, son, brother, and father. One year after the shooting at the Oak Creek Sikh Temple, our community is continuing to grapple with serious concerns and significant fear about the repeated hate crimes and hate speech against members of our community. Just days ago, there was a hate crime in our area—Southern California. Religious leaders and congregants of the Riverside Gurdwara awoke on the morning of July 30, 2013 to find the word “terrorist” sprayed on the temple walls. It is another troubling incident for our community as we are mark the one-year anniversary of the deadly shooting of six of our Sikh brothers and sisters in Oak Creek, Wisconsin. And it is one year after we seek to heal from dozens of hate incidents against Muslim Americans that took place in quick succession across the country. We are now well aware that these are not isolated incidents. They are part of a history of bigotry and prejudice against our community. We saw a huge rise in hate crimes, bullying and racial and religious discrimination after 9/11 and we are seeing ever increasing violence again. While we may not know the specific motives of each assailant in each act of violence, we know that they stem from bigotry and anti-immigrant sentiment being fanned by irresponsible and bigoted comments made by some politicians and community leaders across the country. It is time that we make connections between the two as we stand up against hate speech and hate crimes targeted at our community as well as other communities. We must be as vigilant in opposing Rep. Steve King’s indefensible characterization of most Latino immigrants as “drug mules” as we are in challenging Rep. Peter King’s remarks about the vast radicalization of Muslim Americans. The two Kings’ comments are equally abhorrent and equally offensive. The FBI recently announced that beginning in 2015, it will track hate crimes against Sikh, Hindu and Arab Americans. This change, resulting from years of community pressure, is a step in the right direction. Only after we have statistical evidence of the many hate incidents can we begin to understand the nature of the crimes and their impact on our communities and start to address them systemically. But, more—much more—is needed. If we fail to stand up with our community members and members of other immigrant communities to protest this continuing pattern of hate and violence and demand action by our policymakers to address this wave of bigotry and prevent future attacks against Sikhs, Muslims, — against all of us — it won’t be over anytime soon. 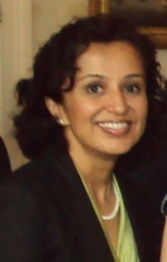 Manjusha (Manju) P. Kulkarni is Executive Director of the South Asian Network (SAN). SAN is a community-based organization dedicated to advancing the health, empowerment and solidarity of persons of South Asian origin in Southern California. Located in Artesia, California, SAN serves the needs of individuals of Indian, Pakistani, Bangladeshi, Nepalese and Sri Lankan descent in the areas of civil rights, violence prevention and health and health care access. Going to our local Sikh temple (gurudwara) is such a habit in our family that if we’re feeling lazy one Sunday morning, our five year old boy girl twins will protest loudly that they want to go to gurudwara. Not wanting to hear the deafening sounds of angry five year olds protesting all day, we’ll quickly agree. On August 5, 2012, my husband and I signed up the kids for Sunday school at our gurudwara. That very day, in Oak Creek, Wisconsin, a hate filled gunman killed six Sikh Americans in their own place of worship ostensibly because of their appearance. As the mother of a five year old Sikh boy who sports long hair wrapped in a patka (little boy version of a turban) and the wife of a turban wearing Sikh, I am acutely aware of how they are perceived in the general American populace and how it impacts my parenting. My husband, a tall Sikh man with a turban and a beard, was viewed with such public suspicion in those early months after 9-11, that I truly feared for his personal safety. Too many people in this country still don’t know who the Sikhs are: a peaceful and patriotic community heartsick at the massacre and struggling to determine how they can educate people so this never happens again. As we watched the media coverage, shielding our children from the tragedy, we couldn’t help but think about our kids. In the almost year that has passed, it has been in the forefront of my mind because my son is starting Kindergarten this August at a public school. In the future, my now five year old son will sport a turban and beard. I wonder if I will have to fear for his safety the way I still fear for my husband in the post 9-11 world. That peaceful worshippers can be gunned down in their safe place based simply on their appearance is antithetical to the American freedom of religion and racial profiling in the extreme. My son, in his first two weeks of preschool at age three, told me, “no one understands why I have long hair and a pakta.” He is acutely aware of how people act around him, and we talk about people’s misperceptions regularly. When I had kids, it never occurred to me that I’d be having such deep conversations with my five year olds. My mama grizzly bear reaction to his feelings was to go into his preschool classroom and explain very generally what a Sikh is and why my children and our family grow our hair long without preaching religion to all the kids. Preschoolers only know that someone is different and are curious to learn about them. They don’t understand how religions can divide fear-filled grown-ups: they only know that my son looks different to them. I told them that my son has long hair to match his family, and wears a patka to cover it, and that you should never be mean to someone just because they look or are different. “Should you be mean to someone because they like chocolate cupcakes and you like vanilla?” The kids all yell in unison “NOOO!” They sound so certain, yet I know the reality is that I will have to repeat and adapt this presentation many times in the future to ensure the safety of my son. While I have lots of the normal kindergarten angst that every mom probably has, it is acute because Nihal will take a bus to school. A BUS— with new and much older kids— to a new school! The tearjerker is thinking about how mean children can be about differences and all the new issues we’re going to face because someone said something to my children that was hurtful. I am not ready to deal with bigger kid issues. I am content to talk about chocolate and vanilla cupcakes. I don’t want them to grow up and learn just how ugly our world can truly be. That what they will experience is in line with so many other people that are deemed suspicious or “other” simply based on their appearance or skin color. They will one day know about Trayvon Martin and all the numerous untold stories of children like him. Like Trayvon, I fully anticipate challenges in Nihal’s climb through adolescence as he learns to navigate the judgmental nature of people who don’t know what to make of his appearance and react with suspicion and distrust. Nihal, like so many others before him, will be suspicious, yet innocent. As his mom, I am petrified. Jesse Bawa is an Assistant Professor of Lawyering Skills at Howard University School of Law. 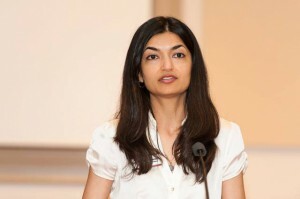 She also serves on the Board of Directors for the Sikh American Legal Defense Education Fund (SALDEF).